Weve all heard of acupuncture — a treatment method that involves inserting really thin needles into strategic points of the skin. Acupuncture has been used for thousands of years to treat all kinds of things, and is believed to have originated in China. 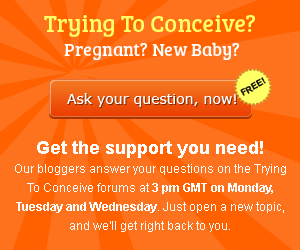 Can it cure infertility as well? Female infertility has many different causes, which can roughly be separated into two categories — physical causes and hormonal causes. Blocked fallopian tubes, commonly caused by infections like Pelvic Inflammatory Disease, represent one of the most common causes of female infertility. As such, blocked tubes are a great example of a physical cause of infertility. Even more extreme problems like the total lack of a uterus can be another example. Its fairly safe to say that acupuncture isnt going to be of much help in these cases. Acupuncture is not going to grow you a new uterus or unblock blocked tubes for you, even in combination with herbal medicine. Hormonal causes of infertility are different though. An underactive or overactive thyroid (hypothyroidism or hyperthyroidism) may be addressed through acupuncture, and the ancient Asian technique can also increase blood flow to the reproductive organs, leading to better conditions for pregnancy. Anna now has a 20-year old son, but getting pregnant wasnt easy for her because her cycles were erratic and frequently completely absent. When her alternative-minded husband suggested they try acupuncture after 18 months of trying to conceive, she reluctantly agreed. When youre tense, applying the needles hurts. When youre relaxed, you dont feel it at all, she shares. The treatments were over after 20 or 30 minutes, and I think I went for treatments every day for 10 days followed by breaks of two weeks. After three of these treatment cycles, I was pregnant. Anna was not diagnosed with infertility, but it was obvious that she had hormonal imbalance issues and she got pregnant almost instantly after previously trying to conceive unsuccessfully for quite a while. She believes the acupuncture helped her get pregnant. Acupuncture may also be useful to women who were already diagnosed with infertility and are aware of its root cause — to help regulate thyroid function, induce ovulation, and increase blood flow. Recent research also shows that acupuncture can be a good treatment to accompany IV treatment — adding acupuncture to womens treatment regimes significantly increased their IVF success rates. 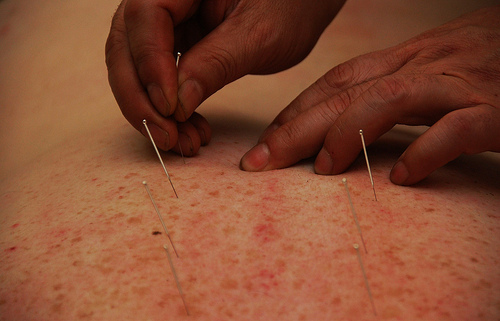 It is important to be aware that acupuncture can also carry risks, however. Anna reminds people that it is important to find a qualified acupuncturist. Certain points should be avoided if there is the chance that the woman is already pregnant, since acupuncture has the potential risk of inducing a miscarriage in pregnant women if used incorrectly.